Binalong Bay is a great location to check out, with a neat little list of available hotels. There are 2 located less than 5 kilometres from the centre of the city. You should look into the Villa Vista and Bed in the Treetops Bed & Breakfast. All these choices are close to the main streets. For some alternatives, try the Tidal Waters Resort and the Bayside Inn. They are located 9 kilometres and 9 kilometres respectively from the main center. Wotif also recommends the Ocean Retreat and the Scamander Beach Shack. The first is 30 kilometres away from the center, while the other is 25 kilometres away. If you'd like to experience some close by localities, try Scamander and Falmouth. Head 25 kilometres to the south from Binalong Bay and you'll discover Scamander. Alternatively, Falmouth is 30 kilometres to the south. 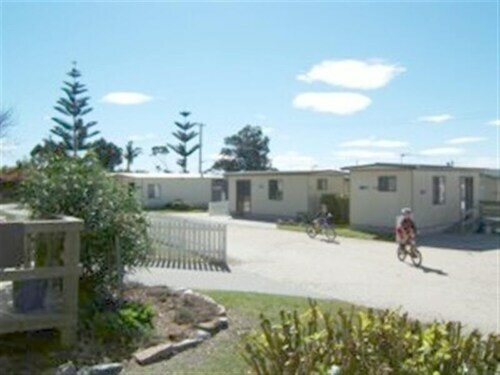 Hotels and apartments in Scamander are the Blue Seas Holiday Villas and Pelican Sands Scamander. Falmouth choices are the Lumera Chalets and Saltwater Sunrise. Australians are some of the world's greatest sports lovers, so why not indulge with a visit to Aurora Stadium? Find Aurora Stadium to the west of Binalong Bay. To stay close by, book a room at the Quest Launceston Serviced Apartments or the Apartments at York Mansions. 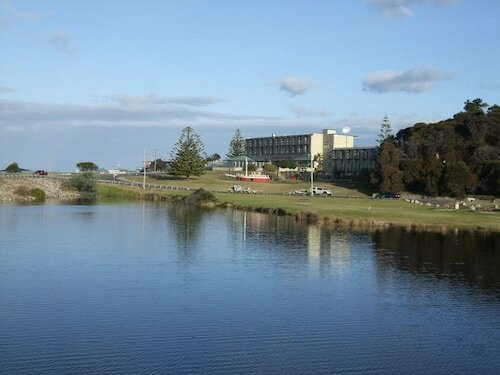 Launceston Airport can be found 95 kilometres from downtown Binalong Bay. If you wish to stay close by, you can easily book a night at the Relbia Lodge or the Arendon Cottage. How Much is a Hotel Room in Binalong Bay? 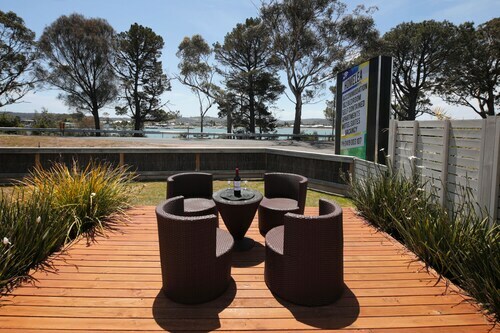 Hotels in Binalong Bay start at AU$110 per night. Prices and availability subject to change. Additional terms may apply.